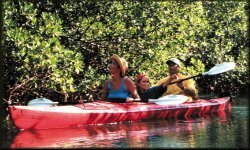 Kayak Nature Tours, Freeport, Grand Bahama, Bahamas. We are Freeport's most experienced kayak, nature-based, Eco-tour operator. Suitable for all ages-beginners welcomed. 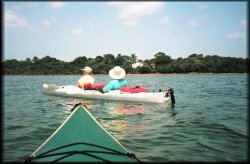 Kayaking portion of trip is approximately 90 minutes of light to moderate paddling in inland creek through a mangrove forest. Guided nature walk and visit to caves. Only 30 minute paddle to lovely beach on tiny Peterson Cay, the Bahamas' smallest National Park. Spectacular snorkeling only yards off beach. 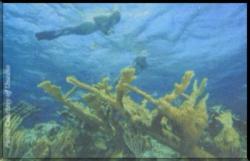 All snorkeling tours are guided. Instructions for beginners are provided. (5 hours in duration - distance 20 miles). 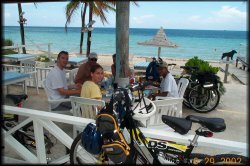 Take a leisurely bike ride along Taino Beach and the old Settlement of Smith Point. See Sanctuary Bay, home of the dolphins, and visit Garden of the Groves, where you take a guided walk in a lush tropical landscape. Enjoy a delicious lunch at a quaint seaside restaurant, where you may cool off in the turquoise ocean or just relax in a hammock. 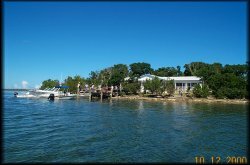 Transportation to and from Water Cay is also available by motorboat. Kayak through the costal mangroves to this small inhabited island off the North Shore. 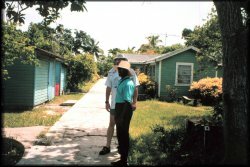 Walk through the quaint native settlement. 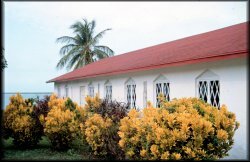 Visit the church and school and meet the friendly local people. 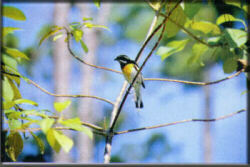 Have a guided nature walk through the hardwood forest - Bird Watching. Visit the new Bonefish and Eco Lodge and taste a native lunch. We provide door-to-door transportation in air-conditioned mini-buses. All tours include lunch or snack and beverages. Wide, stable 2-man kayaks - easy to get in and out. 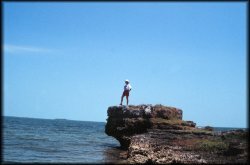 We have been providing nature tours for over ten years on Grand Bahama Island. 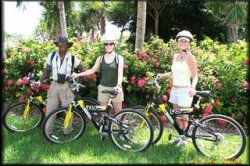 Our friendly, professional guides are dedicated naturalists, Bahamahost graduates, certified tour guides, experienced kayak and snorkel guides and certified lifeguards. For further information contact: KAYAK NATURE TOURS, LTD.